Depending on your financial needs and goals, it may be tempting to pay off an FHA mortgage faster than the term of the loan. This is a good idea if you need to save money over the lifetime of the mortgage-paying the full term of the loan means paying interest for that full term. October 10, 2018 - Depending on your financial needs and goals, it may be tempting to pay off an FHA mortgage faster than the term of the loan. This is a good idea if you need to save money over the lifetime of the mortgage-paying the full term of the loan means paying interest for that full term. An early payoff can save you money on interest but there are a few questions to answer if you are planning on doing this with a mortgage of any kind, FHA or not. Will Add-Ons to My Loan Affect My Ability to Make an Early Payoff? Simply put, the more items you finance into the loan amount, the bigger the loan will be. If your goal is to pay off early, do you really want to finance the Up-Front Mortgage Insurance Premium (UFMIP)? Some borrowers choose add-ons like the FHA Energy Efficient Mortgage to add funds to the loan for approved upgrades. If your goal is to pay off faster, reconsider adding anything more to the loan amount and explore the option of paying more up front to keep your total loan amount lower. Is There A Penalty for Early Payoff Off My Mortgage? This question should be generally asked for ANY mortgage, but FHA home loans are specifically designed to avoid this. The FHA loan rules in HUD 4000.1 state clearly that the lender must accept any partial or full prepayment without a penalty to the borrower. 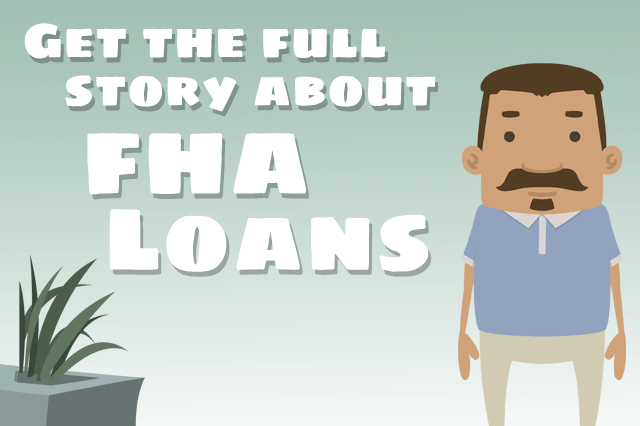 One very important thing to ask the lender, FHA or not, is what the mechanism for making extra payments (full or partial) with the goal of early payoff. Does the borrower have to notify the lender of the extra payments and how they should be applied? It’s best to discuss this with the lender ahead of time because you want to make sure your extra payments are applied to the principal of the loan, and you need to know if there are lender-required steps to take in order to make the larger or extra payment. Some borrowers choose to make mortgage payments every two weeks rather than once per month; doing so can help you shorten the amount of time you are paying interest on the loan amount. But if the lender requires notification or extra steps to receive the extra payment according to your wishes, you will need to know those steps in advance. Does Your Final Mortgage Payment Include a Balloon Payment? Do you know how different your final mortgage loan payment will be with an FHA or non-FHA mortgage compared to the regular payments? If you made a loan agreement with your lender that includes a balloon payment, you should anticipate the amount of that payment and save for the higher amount when the time comes. For some the balloon payment isn’t an issue, but for others there may be an amount large enough to consider refinancing or even selling the property depending on the borrower’s needs. The amount of your balloon payment will be unique to your transaction and if you plan to pay off early you will need to have a discussion with the lender about the amount and the procedures for making the final payment.